Howard & Company has an underlying culture that differentiates it from any other CPA firm. A culture built on a unique combination of values, expertise and commitment to excellence that gives us the ability to build valuable relationships. Founder and Senior Partner in the firm of Howard & Company, CPAs, P.A., a certified public accounting and consulting firm, located in Jacksonville, Florida. John Howard entered the public accounting profession in 1990. Since that time he has provided individuals, businesses and industries with professional services from auditing and tax to business valuations. Some of the industries he has served include: manufacturers, not-for-profits, transportation, wholesale, waste disposal, retail and professionals. 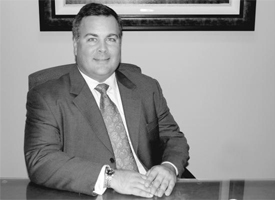 He was the managing partner and director of a large local CPA firm before founding Howard & Company, CPAs, P.A. Located in Jacksonville, Florida, Howard & Company, CPAs was created on the premise that businesses and individuals need expert financial services and advice in a personable manner at a reasonable cost. As a provider of personalized consulting, auditing, litigation support, business valuation, management consulting and tax services. Howard & Company, CPAs is the “hidden asset” behind many successful organizations. In addition, we are a member of the Employee Benefit Plan Audit Quality Center, Governement Audit Qaulity Center and Private Companies Practice Section of the AICPA, the Financial Consulting Group, L.C. and the Nonprofit Center of N.E. Florida. Our experience provides us with the foundation to serve the client. However, we are committed to obtaining a deeper understanding of the client’s specific goals and objectives. Each of our accountants are business advisors that bring valuable assets to the table, spanning a broad range of business and personal accounting experience. With this experience, they can customize our services to help the client achieve their goals and objectives.